Even if you’re faithful about maintaining your vehicle at every mileage milestone things can still go wrong. Some preventative maintenance recommendations include extensive engine service work, such as replacing the timing belt or chain. No matter what, Anderson Automotive are experts in engine service, including rebuilds when needed. Nothing can ruin your day more quickly than pulling out of your driveway and noticing dark brown spots on your garage floor. Your vehicle should never leak oil, and if it begins to, it’s crucial you bring it in for diagnosis and repair. Oil pan leaks, worn oil seals, and worn engine gaskets are the most common causes of oil leaks, and the sooner you have the leak fixed the better for you and your vehicle. Ignoring the issue guarantees a higher repair bill. If your engine has a timing belt, it should be changed every 60,000 to 100,000 miles depending on your manufacturer’s recommendation. If you fail to replace your timing belt and it breaks, you’ll be in for a huge headache. When the timing belt fails, it can damage your engine’s pistons and valves. If the break is serious, it might even damage the engine cover, oil pan, and crankshaft. No, you don’t want to know how much it costs to repair all that. You’re in luck if your vehicle’s engine has a timing chain because they generally do not need to be replaced unless there’s an issue. 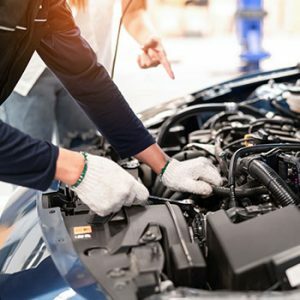 Usually, the issue is the chain has stretched and worn over the years, and signs your engine’s timing chain has a problem include your check engine light coming on while you drive, rough engine performance (including misfires), your engine won’t start, your engine overheats, or total engine failure. If your vehicle does overheat, bring it in right away for a diagnostic check. If you drive your car, truck, or SUV when it’s running too hot, you run the risk of damaging the head gasket. The head gasket rests between the engine block and the engine’s cylinder head and excessive heat can crack it or cause it to otherwise fail. The average cost to repair or replace a head gasket is around $1,000 to $2,000, so let us check your head gasket regularly to ensure it’s a-okay. Worst-case scenario: Your timing belt breaks and wipes out your valves and cylinders while your vehicle overheats and blows the head gasket. Don’t worry, the chances of this happening are so rare, there probably isn’t even a percentage point. We only mention this to assure you that we can rebuild or replace your engine if a worst-case scenario happens to you. We sincerely hope it never does, and we can maintain your engine to stack the odds in your favor. Anderson Automotive in Olathe, KS, is here to help you. 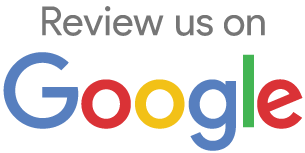 Give us a call at 913-393-0083 to set up an appointment for an engine inspection and service.